Finds the best place for all of her client’s belongings and recommends storage solutions to maximize her space. Provides her client with resources for donations and resellers. This makes it easier for her client to let go of the things she no longer uses or loves. Helps her client (a mom with a demanding career) organize her pantry to simplify meal preparation, allowing her family to assist with meal preparation and so they can enjoy eating dinner together. Speaks at a senior community to demonstrate how to maximize their smaller homes with space saving ideas. Enters reminders in her client’s phone so her client never misses an appointment again. Sorts out and groups similar activities in her client’s schedule, freeing up at least an hour each day which allows her the time to coach her son’s swim team and help with homework. Organizes her client’s clothing to prevent the purchase of duplicate articles of clothing saving her client time and money. Designs functional closet and storage systems so everyone in her client’s family can find what they need and equally crucial so that they can put things away themselves. Sets up automatic bill payments, so her client never incurs another late fee! Teaches her client how to capture all of her tasks and create a system for getting them all done. 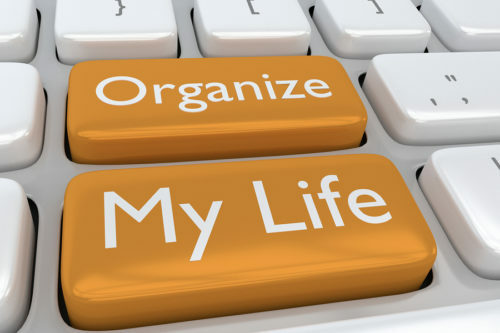 These are just a small sampling of how a professional organizer can impact her client’s life. Are you ready to find out how we can impact your life?